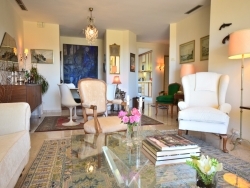 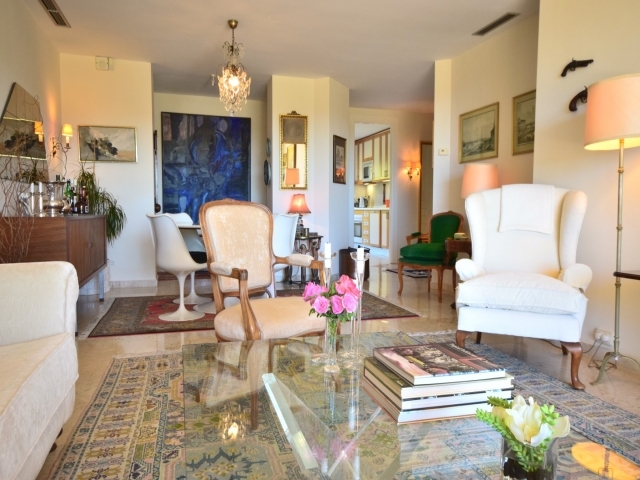 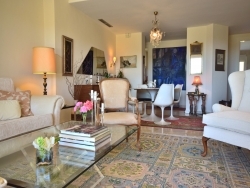 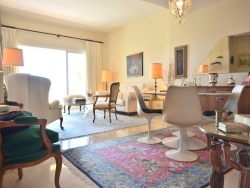 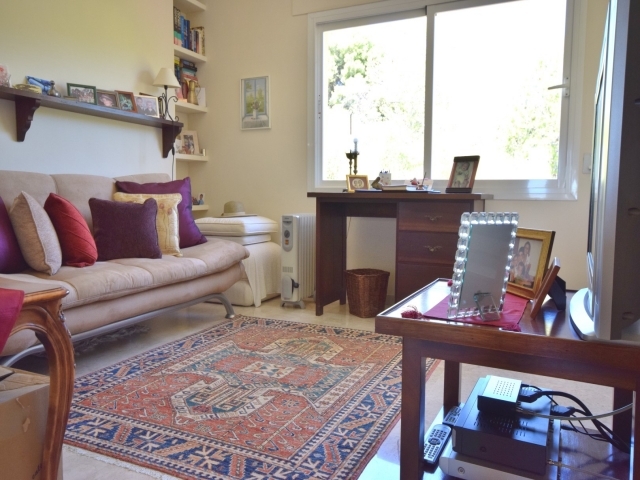 Three bedroom apartment for sale in Greenlife Village, an exclusive complex in Marbella situated next to Rio Real Golf and just a short drive to the beach. 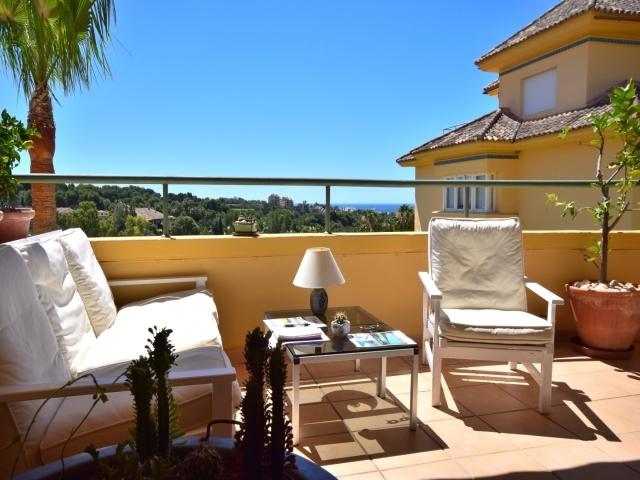 The gated community features an attractive Andalusian style with communal gardens and swimming pools for residents to enjoy. 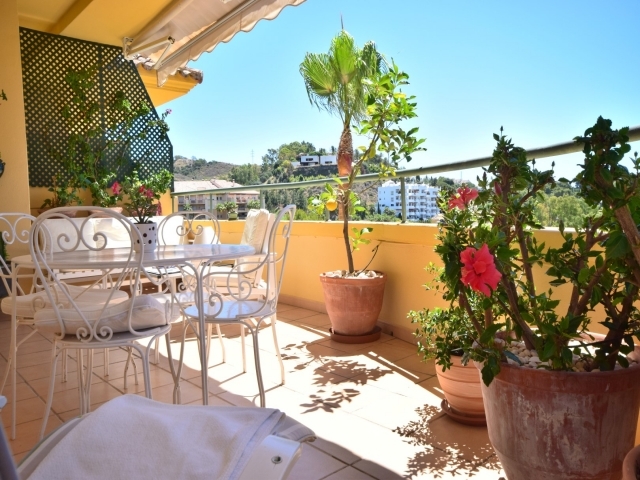 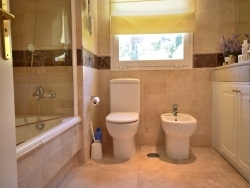 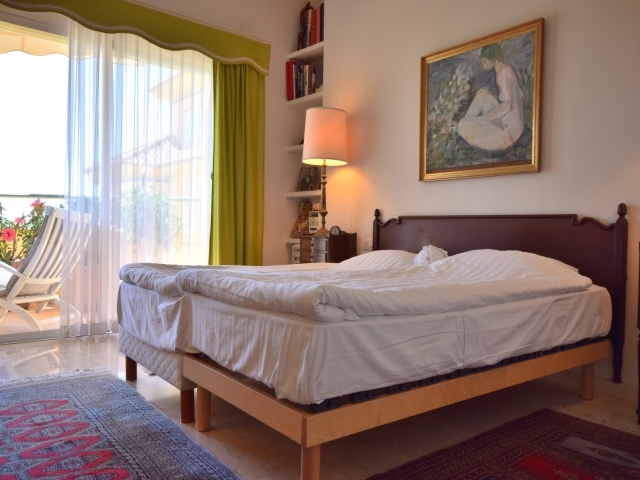 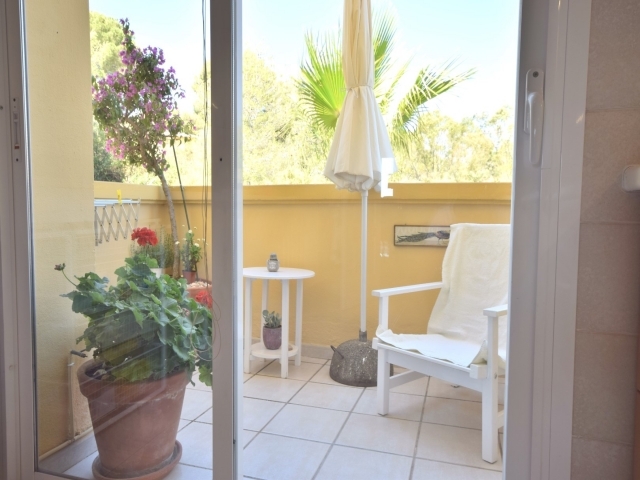 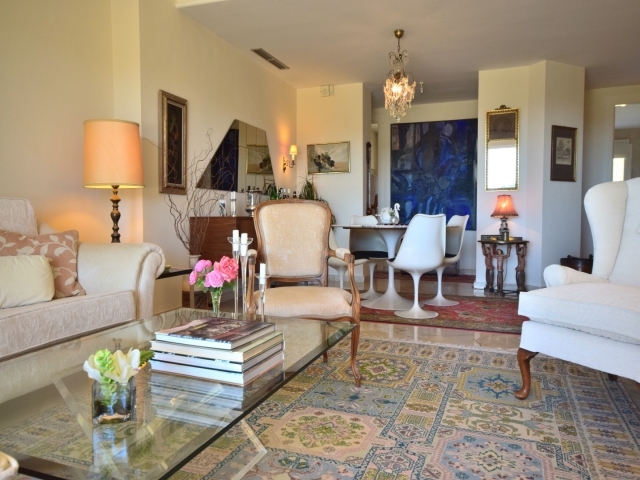 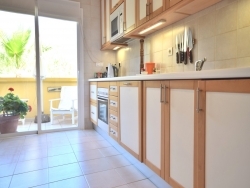 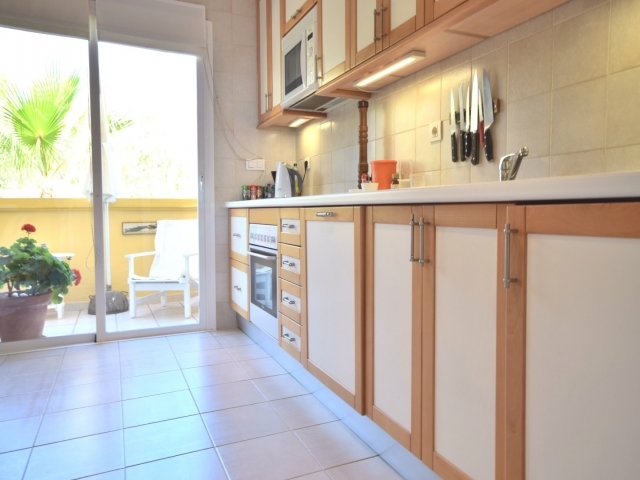 The property comprises a combined living and dining room, kitchen, three bedrooms, two bathrooms, a guest WC and terrace. 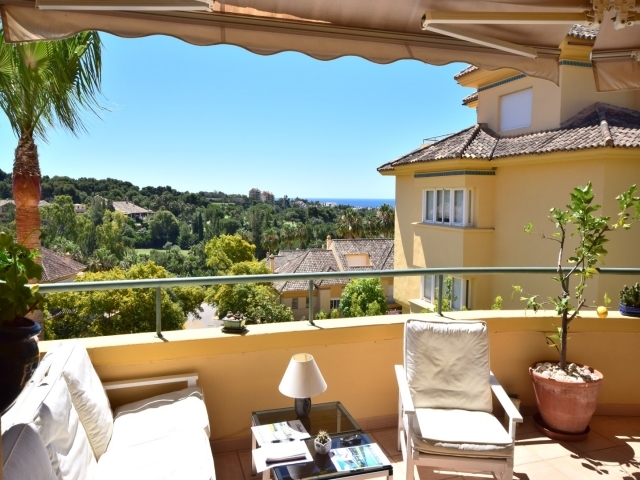 South facing, the terrace overlooks the communal pool area and also has impressive views of the Mediterranean Sea.